What a great first week! It was an extraordinary experience to meet all our new students and see all the friendly faces who have been part of our school for many years. Joy, excitement and sunshine permeated our whole school all week! Our Elementary students had four full days. Statements like, "I'm so happy to be here!" "I can't wait to get to work" and "I can't wait to walk the trail!" were heard all week. This article outlines the unparralleled opportunity that our elementary program offers. Regular Programming for Early Childhood! Do you want one less day to pack a full lunch for your child? Click on the links below for the pizza and sub forms. Welcome back to school students and parents! Hope your summer was wonderful and peaceful. Our school library is a full lending library with selections of books and movies to suit all age groups. There is a special parent section available which is not in the library proper, but straight ahead past the library, toward the early childhood classrooms. The parent section has many books on Montessori methods and outcomes; biographies of Maria Montessori; parenting strategies and even music CD's containing songs sung in classrooms. Please feel free to check out anything that looks interesting by filling out a yellow form and bringing it to the library. When returning the information, please bring it back to the library. The library is open during all school hours, but not always attended by the Librarian. There are purple forms on the desk, fill in all information and you have checked out. When returning, please place book in the cart next to the door. We strive to keep our collections up to date and interesting; we are accepting and grateful for donations of books, technology and family-friendly movies. Please take some time to check out this wonderful asset of MSBG! MSBG is pleased to be able to offer the Music Keys CDs for Early Childhood families to purchase. These optional CDs are available for $15 each. In our music classes, we will be learning, practicing, singing and moving to the music found on these high-quality CDs. The order form will go home this week in your child's cubby or CLICK HERE for the order form. Kathy Humphrey is a real mover and shaker, specializing in dance and creative movement. As a dancer, choreographer and teacher, she has worked with children and adults of all ages and abilities for more than 25 years. She teaches two creative movement classes at MSBG. Click HERE for more information and for the registration form. **Please note the the original forms had classes beginning on September 4 but they will actually begin on September 11. This form has the correct dates. Sensei Christopher Miller would like to know who is interested in Karate this year. He is forming his schedule based on how many children enroll and what ages. He especially needs to know who wants to be a Lil' Dragon (ages 4-7). Please complete the survey form and/or the registration form today! 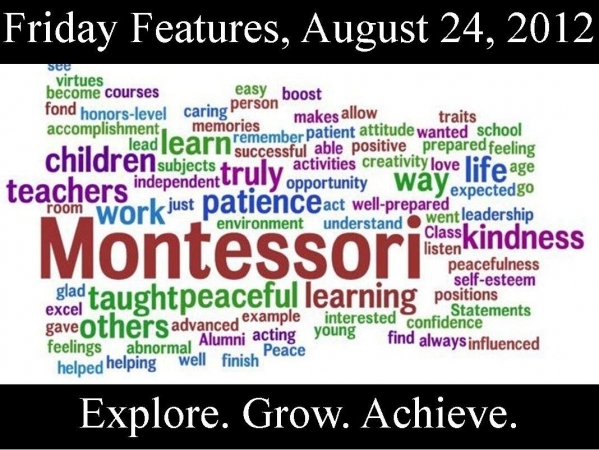 Please email msbg@montessorischoolbg.org with any questions or to let us know if your child would like to join. There will be community Musikgarten classes taking place at the Montessori School of Bowling Green! There are a variety of classes and times. Day and evening options. Babies-Preschoolers will enjoy these great classes taught by our very own Miss Susan West. CLICK HERE for more information! If you, or someone you know, might be interested, please mark your calendars for the parent meeting on September 10 from 6:15-7:00pm. These classes are open to the public. It is never too late, or too early, to sign up your Kroger Plus card. To sign up, you simply need to login to your Kroger Plus website account and link the Kroger Community Rewards benefit to MSBG (our number is 80235). This is open to anyone that wants to register, so feel free to get your family and friends to sign-up too! You will receive the benefits from their cards as well. However, in order for us to be able to credit those amounts to you, you must send all the names and Kroger Plus numbers to Alisa.Suelzer@gmail.com. Alisa is also happy to help you with registration information as well. Every week our school places an order for gift cards from all types of retailers including Walmart, Home Depot, Chili’s, Amazon.com, Elder Beerman, and hundreds of other establishments. 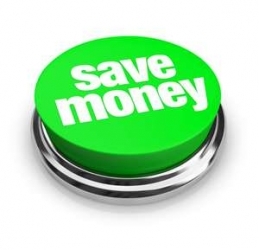 Each purchase earns a tuition rebate from anywhere between 2% and 18% of your purchase depending on the store. Login to www.shopwithscrip.com to check out all that is available. Send an e-mail to Alisa.Suelzer@gmail.com if you would like to have detailed registration instructions sent to you. Earning free money has never been easier! CLICK HERE for the instruction sheet for Kroger Reward and GL Scrip. Earn FREE MONEY today! There will also be a CHILD ID table available for you to choose to have an I.D. card created for your child. In only 3 to 5 minutes, a Child I.D. card is printed for each parent or guardian free of charge. Child I.D. cards feature a child’s photo, fingerprints, contact information and other pertinent information needed by the police in case of an emergency. Thank you to New York Life for providing this free service. CLICK HERE for more information. Julie has 30+ years experience as an administrative secretary. Since her retirement at BGSU, she has worked part-time for two Convention and Visitor's Bureaus and spent time with her four grandchildren. Julie is working as the Administrative Assistant in the mornings at MSBG. She states, "This job is a dream come true; no better place to be. 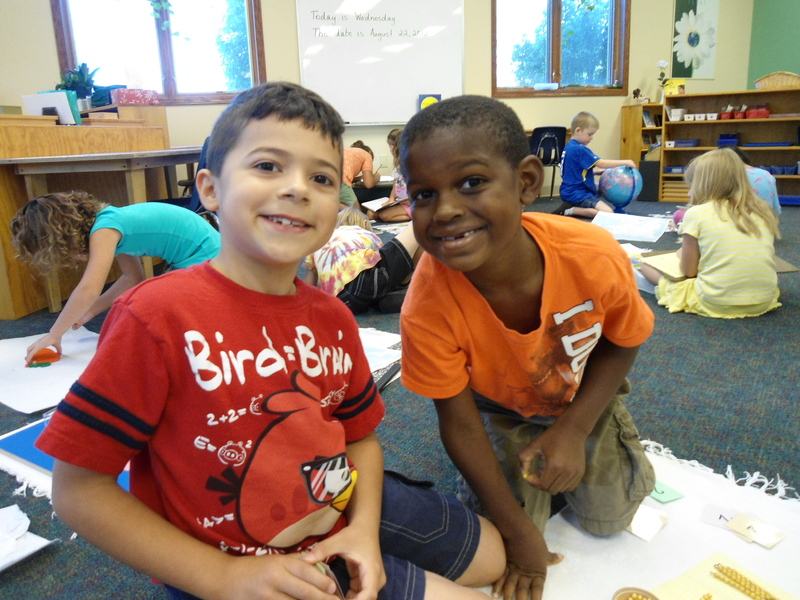 Montessori School of BG is a happy, healthy environment and I am thrilled to be a part of the staff." Debbie is an experienced professional with 12+ years of sales, marketing, advertising and administrative experience. She holds her Bachelor's degree in Communications. 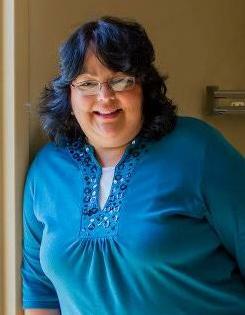 Debbie is working as the Administrative Assistant in the afternoons at MSBG. Debbie and her husband have two teenage sons. She states, "I will bring my energy and excitment to MSBG. I'm looking forward to getting to know everyone!" Leigh Ann has over eight years of professional banking experience with Huntington National Bank. She most recently served as the Customer Service Team Leader. She holds a Bachelor of Science degree in Business Administration. 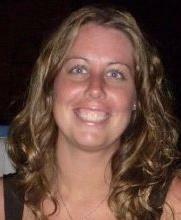 Leigh Ann will serve as our Business Manager. She states, "I am looking forward to working at the Montessori School where children's education is important and also family. I am excited to work the teachers and staff and also getting to know the children." To email our office staff, please email office@montessorischoolbg.org. Even with our new staff, our core teachers all remain the same as well as the full-time administrative staff. Click HERE for an updated link to all of our staff and faculty. The Black Swamp Arts Festival is September 7-9. CLICK HERE for more information. Developmental Soccer League registration is now open. CLICK HERE to register. 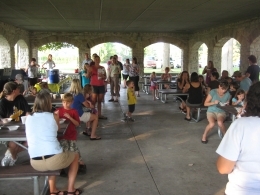 Bowling Green Parks and Recreation has many new fall program. CLICK HERE for more information. 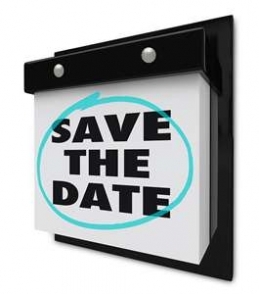 The Wood County Historical Society has many upcoming events. CLICK HERE for their newsletter. The Movementality Yoga Studio has some great opportunities. CLICK HERE for more information. 100 % of our Board of Directors as well as our MSBG Faculty/Staff contribute financially to the school's annual campaign fund. MSBG is a 501(c)3 non-profit charity. You can donate to the school and your contribution is fully deductible to the extent of the law. Click HERE to donate today. Another benefit of being part of the MSBG school community is the option to rent our facility. Hosting a baby shower, birthday party or a special family event? Hosting a special business meeting or community outreach project? MSBG has a rental agreement policy and has beautiful rooms and kitchens available for your event. Did you know? A portion of the proceeds from the Pepsi vending machine located by the head of the Slippery Elm Trail benefits MSBG! Join us for coffee everyday in the foyer and muffins on Friday, provided by our Upper Elementary students! PLEASE bring your box tops, labels for education and drink pouches early next week. We'd like to send our next shipment. Click HERE for a great box tops activity. We collect BOX TOPS and JUICE BOX pouches to raise money for an outdoor sign. Click HERE for fascinating new programs related to BOX TOPS. Copyright © 2012 Montessori School of Bowling Green, All rights reserved.